Subject to the terms and conditions set forth in these Terms, Stevens Construction grants you a limited non-exclusive, non-transferable, revocable, license to access, use and display the Site solely for your information and personal, non-commercial use. Any other use of the Site is strictly prohibited. If Material (defined below) downloaded from our Site contains copyright or other proprietary notices, you must retain such notices on any and all copies of the Material. You may not use any data mining programs, robots or other data gathering tools in connection with the Site. You may not modify, reproduce, copy, republish, re-post, transmit, hyperlink, merge, publicly display or distribute any Material for any public or commercial purpose. Stevens Construction expressly reserves all rights not expressly granted herein. Any unauthorized use of the Site shall immediately terminate the license granted by Stevens Construction under these Terms. All elements comprising the Site, including without limitation, the trademarks, service marks, trade names, trade dress, text, site design, logos, graphics, icons and images, software, sound, code, and other content comprising the Site (collectively, the “Material”), as well as the selection, assembly and arrangement thereof, are the sole property of Stevens Construction or our licensors, and are protected by U.S. and international trademark and/or copyright laws. The entirety of the content in the Site is a collective work owned by Stevens Construction and is protected by U.S. and international copyright laws. “©Stevens Construction Corp. 2019. 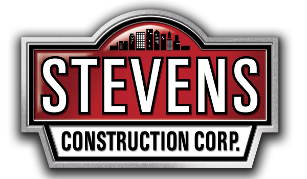 All rights reserved.” Without limiting the foregoing, “Stevens Construction” is a protected trademark of Stevens Construction. UNAUTHORIZED COPYING, REPRODUCTION, REPUBLICATION, UPLOADING, DOWNLOADING, POSTING, TRANSMITTING OR DUPLICATING ANY OF THE MATERIAL IS PROHIBITED AND MAY SUBJECT YOU TO CRIMINAL OR CIVIL PROSECUTION UNDER FEDERAL, STATE OR LOCAL LAWS. The Site may contain links to our affiliates and links to non-affiliated, third party websites. These links are provided solely for your convenience. If you choose to utilize any of these links, you will leave the Site. Stevens Construction may not have reviewed these third party websites and does not control and is not responsible for any of these websites or their content. Stevens Construction does not make any representations about any third party websites, or any information, software or other products or materials found on such websites. If you access any of the third party websites linked to our Site, you do so entirely at your own risk. the appearance, position, and other aspects of the link does not damage or dilute the goodwill associated with the name and marks of Stevens Construction. You may not use our trademarks in metatags and/or hidden text. Any use of our trademarks not consistent with these Terms will be regarded by us as trademark infringement. The framing of any Material available through our Site is strictly prohibited. 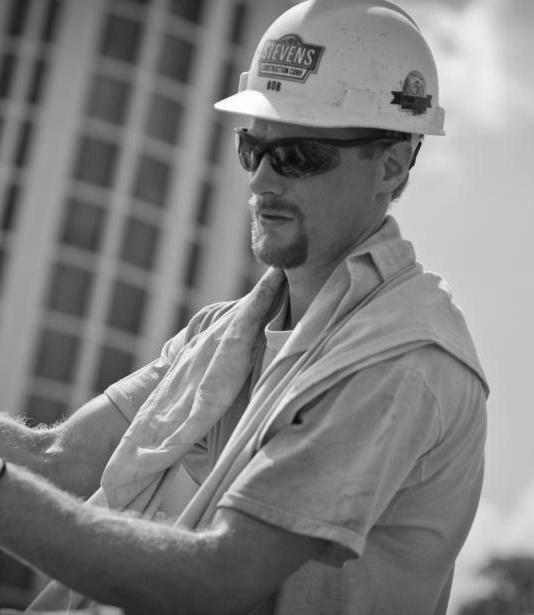 Stevens Construction reserves the right to disable any unauthorized frames. Your use of our Site shall be for lawful purposes only. You shall not use our Site for illegal purposes or for the transmission of material that is unlawful, harassing, libelous, invasive of another's privacy, abusive, threatening, harmful, vulgar, obscene, distasteful, offensive, controversial or otherwise objectionable, or that infringes or may infringe the intellectual property or rights of us or another or that violates any international, federal, state, or local law. You understand and acknowledge that we may, in our sole discretion, terminate your access to the Site, without notice, if we believe you have in any way violated these Terms. To the extent applicable, you are responsible for keeping your user name and password confidential and you shall not provide your user name or password to any third party. You are solely responsible for all uses of all services obtained through the use of the Site, whether or not actually or expressly authorized by you. Entry of your user name and password by you denotes acceptance and agreement to any terms and conditions and validation of data entered by you. By sending us any ideas, comments, suggestions, questions or other material, you grant us an unrestricted, royalty-free, worldwide, irrevocable license to use, reproduce, display, perform, modify, transmit and distribute such material on an anonymous basis in any manner, including in connection with our business, and you also agree that we are free to use any ideas, concepts, know-how or techniques that you send us for any purpose. You agree that no comments or other information submitted by you to us will violate any personal or proprietary right of any third party (including, without limitation, copyright and trademark rights). You agree that you shall remain solely liable for the contents of any comments or other information submitted by you to us. NEITHER STEVENS CONSTRUCTION NOR ANY PARTY INVOLVED IN CREATING, PRODUCING, SERVICING, UPDATING OR DELIVERING THE SITE SHALL BE LIABLE FOR ANY DIRECT, INCIDENTAL, CONSEQUENTIAL, SPECIAL, INDIRECT, OR PUNITIVE DAMAGES ARISING OUT OF YOUR ACCESS, USE, OR INABILITY TO USE OUR SITE OR ANY SITES LINKED TO OUR SITE, OR ANY ERRORS OR OMISSIONS IN THE CONTENT OF ANY OR ALL SUCH SITES WHETHER BASED ON WARRANTY, CONTRACT, TORT OR ANY OTHER LEGAL THEORY AND WHETHER OR NOT ADVISED OF THE POSSIBILITY OF SUCH DAMAGES. THE CONTENT PROVIDED ON OUR SITE IS PROVIDED AS IS WITHOUT ANY WARRANTIES OF ANY KIND INCLUDING WARRANTIES OF MERCHANTABILITY, FITNESS FOR A PARTICULAR PURPOSE, OR NON-INFRINGEMENT OF INTELLECTUAL PROPERTY. Stevens Construction does not warrant the accuracy and completeness of the content on our Site. Stevens Construction may make changes to the Material and services on our Site at any time without notice. You acknowledge and agree that there may be interruptions in service or events that are beyond our control. While we use reasonable efforts to keep the Site accessible, we do not guarantee, and shall have no liability for, any unavailability of the Site (i) caused by outages to any public Internet backbones, networks or servers, (ii) caused by any failures of your equipment, systems or local access services, (iii) for previously scheduled maintenance, or (iv) relating to events beyond our control such as strikes, riots, insurrection, fires, floods, explosions, war, governmental action, labor conditions, earthquakes, natural disasters, or interruptions in Internet services to an area where our or your servers are located or co-located. Because we do not control the security of the Internet or other networks you use to access the Site, we are not responsible for any data lost during transmission. The Material, products and services on our Site may be out of date and we make no commitment to update the Material, products and services on our Site. Information published on our Site may refer to products, programs or services that are not available in your country. Contact us at mailto:info@stevensconstruction.com for information regarding the products, programs and services that may be available to you. Applicable law may not allow the exclusion of implied warranties, so the above exclusion may not apply to you. You agree that any cause of action or claim that you may have relating to our Site must be made or instituted within one year of when the cause of action or claim accrued. You agree to defend, indemnify, and hold Stevens Construction, its officers, directors, employees, agents, licensors, affiliates, service providers and suppliers, harmless from and against any claims, actions or demands, liabilities and settlements including without limitation, reasonable legal and accounting fees, resulting from, or alleged to result from, your use of the Site, violation of these Terms or infringement by you or anyone you allowed access to your account of any intellectual property or other right of any person or entity. Stevens Construction may change, revise or modify these Terms at any time by updating this posting. You should visit this posting from time to time to review the then-current Terms because your continued use of our Site after any changes to these Terms have been posted will be deemed acceptance of any revised terms. You agree that we shall not be liable to you or any third-party for any modification or discontinuance of any materials, features, products, prices, services, information or the Site. 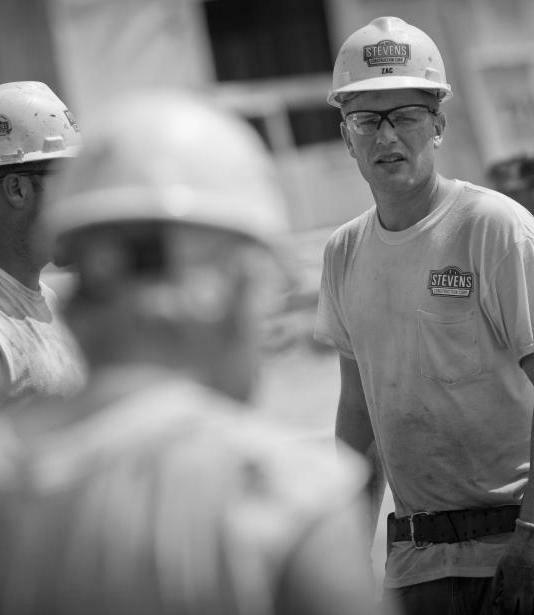 Our Site is controlled, operated and administered by Stevens Construction from offices within the State of Wisconsin. 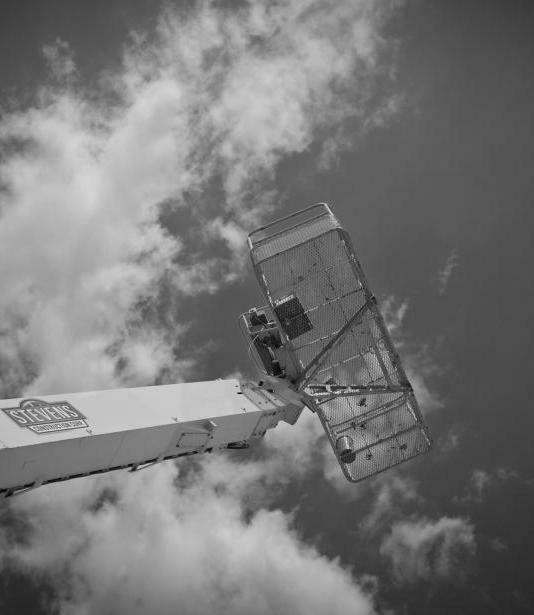 Stevens Construction makes no representation that materials on our Site are appropriate or available for use at other locations outside of the United States and access to them from territories where their content is illegal or restricted is prohibited. You may not use our Site or export the materials in violation of U.S. export laws and regulations. If you access our Site from a location outside of the United States, you are responsible for compliance with all local laws. These Terms shall be governed by the laws of the United States and of the State of Wisconsin, without giving effect to its conflict of laws provisions. These Terms constitute the entire agreement between Stevens Construction and you with respect to your use of our Site. If for any reason a court of competent jurisdiction finds any provision of these Terms or any portion thereof, to be unenforceable, that provision shall be enforced to the maximum extent permissible so as to affect the intent of these Terms, and the remainder of these Terms shall continue in full force and effect. 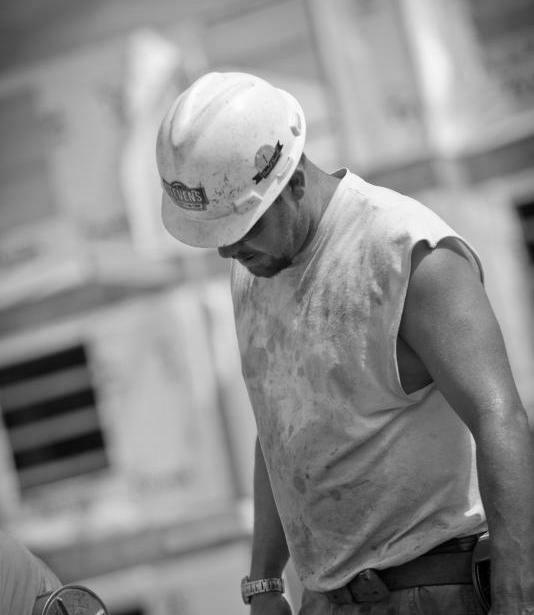 Stevens Construction and you agree that no failure to exercise and no delay in exercising any right, power or privilege hereunder on the part of either party shall operate as a waiver of any right, power or privilege. Company and you further agree that no single or partial exercise of any right, power or privilege hereunder shall preclude its further exercise. Our site includes an additional platform for our subcontractors and our clients (respectively “Subcontractors” and “Clients”) to view the status of their respective bids or projects. Please note that we collect additional personally identifiable information from our Subcontractors and Clients that we do not collect from general users of the Site. Information contained herein that only applies to Subcontractors and Clients is clearly marked. When you visit the Site, we ask your browser to store small text files containing a string of alphanumeric characters known as a cookie. We use both session cookies and persistent cookies. If you have chosen to identify yourself on our Site, we use session cookies containing encrypted information to identify you and facilitate your use of the Site. Session cookies are required to access much of the content and services offered on the Site. After you leave our Site and close your browser, a persistent cookie remains. Persistent cookies can be removed by following your help file directions in your web browser. If you refuse our cookies, some features of the Site may not function properly for you. Participate in a marketing survey, promotion, contest or event. Our servers automatically record certain information (e.g., web request, Internet Protocol ("IP") address, browser type, browser language, URLs, etc.) that your web browser sends whenever you visit our Site. We may employ clear GIFs or Web Beacons to track anonymously how users use the Site. We may also use Web Beacons in our emails to track which emails are opened by recipients. We collect personal information from visitors to our Site on a voluntary basis; however, visitors are not required to give personal information to access many portions of our Site. Personal information may include, without limitation, name, address, phone number, e-mail address, employer or job title. When someone visits the Site, our web servers automatically gather information that allows the Site to communicate with the visitor's computer during the visit. We also may use any of the following information: the number of visits to a Site, which parts of a Site visitors select, IP address (the Internet address assigned to your computer from your Internet Service Provider), domain type, browser type (e.g., Safari or Internet Explorer) and date and time of day. We use this information for statistical purposes that help us design and administer the Site. Those types of information do not disclose personally identifiable information that would permit us to identify or locate individual visitors. We do not sell, trade or rent to any unaffiliated third parties your personal information collected on our Site. We may use the anonymous data and the personal information collected through our Site for statistical purposes and for improving the Site, as well as for our marketing purposes, as part of our responses to your questions or requests for information and potentially when sending commercial emails to you. We may engage a third party’s software or services to assist us with these analyses and activities in which case such information may be shared with them for these purposes (e.g., your email address with our outbound email marketing provider, if any). Our Subcontractors and Clients will receive access to a protected portion of our Site, called the “Plan Room.” Subcontractors and Clients will set up an account and can use the Site to view the status of their respective bids or projects. Subcontractors and Clients may be required to disclose limited personal information to obtain access to the Plan Room. We may also collect information from surveys and questionnaires completed by our Subcontractors and Clients. Subcontractors and Clients should never share their login username or password, and they should always log out when finished using the Site. Subcontractors and Clients should inform us immediately if they believe their private login information has been compromised. We are not responsible if a Subcontractor or Client allows third parties access its account. We will take reasonable measures which we believe are appropriate to protect your information from loss, misuse, alteration or destruction, and, where possible, will ask that any third parties to whom we may transfer your information take comparable steps to protect that security. Although we will use all reasonable efforts to safeguard the confidentiality of any visitor information collected, we shall have no liability for disclosure of any visitor information obtained due to errors in transmission or the unauthorized acts of third parties. Email is not a secure form of communication. Please do not send us your credit card number, social security number or any other personal information via email. We are in compliance with the requirements of COPPA (the Children’s Online Privacy Protection Act) and we do not knowingly collect personal information from anyone under the age of 13. Our Site, products and services are all directed to people who are at least 13 years old. Since information regarding children under the age of 13 is not collected, we do not knowingly distribute personal information regarding children under the age of 13. Because we value your privacy, we have taken the necessary precaution to be in compliance with the California Online Privacy Protection Act. We therefore will not distribute your personal information to outside parties without your consent. As part of the California Online Privacy Protection Act, all users of our Site may make any changes to their personal information which we possess at any time by following the link in any email sent by us to remove or edit their personal information. If you would like to add your name to our marketing list, request that your name be removed, or correct your current information, please email us at mailto:info@stevensconstruction.com. You can also opt-out of receiving email communications from Stevens Construction by clicking on the “unsubscribe” link in our emails. We will make a reasonable effort to accommodate your request. "Relationships are the lifeblood of our business, and the buildings a product of those relationships. Building new and lasting relationships while nurturing current ones is at the forefront of what we do every day."